What a relief. The VOV learning network really created the right atmosphere. About the subject Talent and Passion the VOV made a beautiful room with cosy lights and live musicians to experience Appreciative Inquiry in passion. 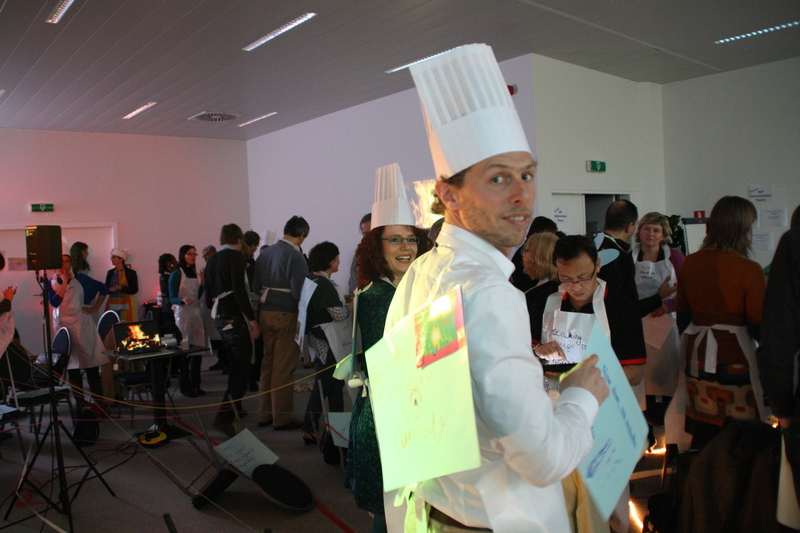 Everyone was asked to wear an apron and cook along finding the secret how passion will work in organisaton practice. The Flemish word Goesting got introduced. It means ‘feeling it’. Too many cooks spoil the broth, they say. 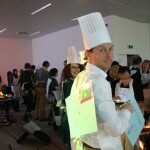 This time, many cooks generated a huge amount of energy. What do you never grow tired of? When are people jealous? What can people wake you up for? Answering these questions created a lot of talks about our passion to create live in organisators.